Presenters: Dr. Hongchun Li (Postdoctoral Associate, Bahar lab) gave an update on his work describing γ-secretase as an attractive target for treatment of Alzheimer’s disease and presented potential figures for a manuscript. G-secretase is a membrane protein and its function is related to many diseases. Recently, its 3-dimensional intact structure was determined, and we studied the intact structure with anisotropic network model (ANM) and molecular dynamics (MD) simulations. Our ANM model showed interesting motions related with modulator binding in a cavity, and our MD simulations found that the cavity is druggable. We also provided atomistic details of potential modulators in the cavity. Presenters: Cihan Kaya (Ph.D. Candidate, Bahar lab) presented a talk entitled “Dynamics of Dopamine Transporters: Bridging Molecular and Cellular Simulations.” Dopamine (DA) is a key neurotransmitter for motor control, cognition and drug abuse mechanisms. Understanding its mechanism of transmission is essential to designing methods of interventions against a broad range of neurological disorders. In this study, we developed a multi-scale model for DA signaling by taking advantage of the advances in imaging and high performance computing technologies. 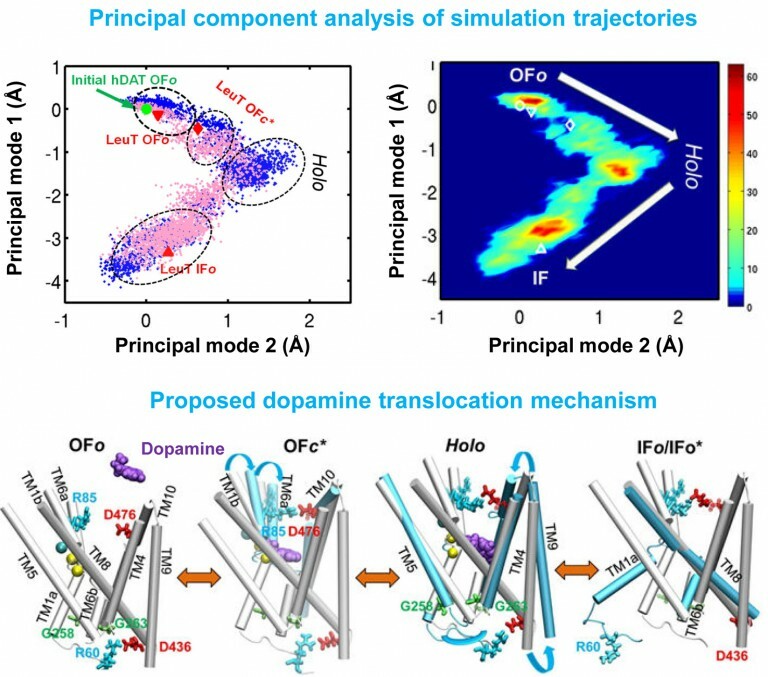 The former permits us to visualize neuronal structure and localization of individual DA transporters (DATs) on axon terminals; the latter helps perform spatially realistic simulations of synaptic neurotransmission events with explicit inclusion of DA and DAT molecules. Simulations under various conditions show complex spatial and temporal effects modulate DA signaling, both at cellular and molecular levels.